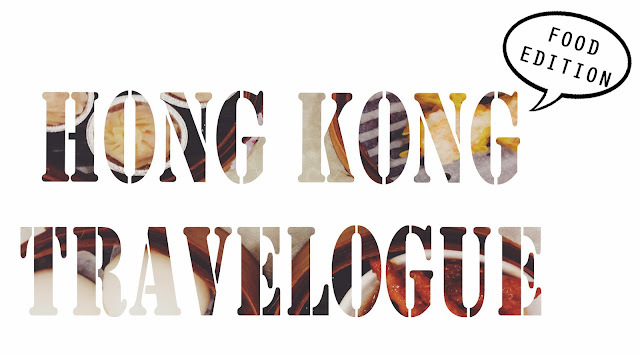 now that it's over, the Hong Kong Travelogue has to continue! So, there you have it~ the long awaited..
One of the biggest reason I can give anyone to go to Hong Kong for would be for their food. Dim Sum, Roasted Meat, you name it and the list continues. This Cha Can Teng we had our first meal at was impossible not to find! It is located right outside one of the exits of Yau Ma Tei MTR Station. We were extremely hungry and just decided to pop in any one place and thank God it wasn't a disappointment at all. For those who didn't know already, I'm a huge sucker for beef! The beef noodle on another table caught my eyes the moment I entered the stall. The amount was generous in my opinion and I really love how the tender parts actually melts in my mouth. For those who ordered rice, the set came with pork rib (I think) soup too which was SO GOOD! I love the soup so much I kept drinking Alicia's. Most of our main meals came with drinks as a set so I guess you can say that it's worth? The bill for the 6 of us came up to 217 HKD which is about SGD6 per person? The Uncle who served us was really friendly and patient which is a plus point. His command of english in terms of food was alright too which couldn't be a better bonus to ask for. This was our favourite hangout for food throughout our whole trip! The price is extremely affordable and what's best is that it opens early and closes late. The carrot cake was not bad too but it still couldn't be compared to the one sold at school. The rice wasn't to my liking though. but be prepared to queue if you're going at the standard dinner time. Lucky us though got approached by the lady boss and we cut the long queue outside the stall. We ordered 3 different types in total (including a curry one). I love the one above as well as the curry one but the salted fish one didn't really appeal. I felt that the combination of salted fish and the soy sauce just didn't seem right. Hing Kee might be well known for their clay pot rice but this was what we found the most delicious! It's really different from the one we usually find in Singapore. This is extremely crispy and generous in size. For those who don't take chilli, no frets cause this taste good both with and without chilli. The 6 of us shared a large serving and finished in 3 minutes. (I'm not even kidding). I officially hate myself for not being able to read Chinese well and take enough photos. In any case, it's not a complete HK trip without getting a taste of their roasted meat. This was just a random shop quite near Yau Ma Tei MTR that we came across and decided to pop in. It wasn't a place where we heard about for being popular and all but this was really good! Even after being soooo full after the meal I still felt like having more. Regretfully, this was the only roasted meat shop we tried and I didn't get to try roasted pigeon which seemed to be a must try there. I'm not sure if the restaurant is called Metropol but it is pretty accessible. From what I remembered, when you come out of the station (not sure which exit) turn right and there it is. My relative who migrated there recommended us to this place. Our whole group unanimously agree that the century egg porridge is really good. The food as an overall is worth a try even though it is of course slightly more pricey. Want to have meals just like locals? This is a small alley around/between Li Yuen Street East & West. Its a stall that sells Wanton Mee and some others. We didn't manage to get a photo of the food though cause the place was too dark. It wasn't really my idea of tasty noodles but it seemed really popular with the locals. By 2pm, some of the dishes were already sold out and by 230pm, they were all prepared to close. No regrets though, it was really cool sitting on a steep alley, having a bowl of hot noodles. Where we had our first and only egg tart of the trip. The egg tart I have to say is one of the best I've ever had. The stall is a small stall at the corner of the street located near Yau Ma Tei Police Station. The Lagsana was alright but what really won us over was this plate of mushrooms. They have a lot of outlets around Hong Kong so this should not be a problem finding. You can check out here to find the nearest outlet. What's a meal with no dessert right? One of the most discussed dessert place on the net. We didn't have much of it though it was good. This, I heard is literally every where~ so yay for all the sweet tooths! And, that's the end of our food adventure throughout our trip. Probably not the best post due to the lack of details but I'll improve.